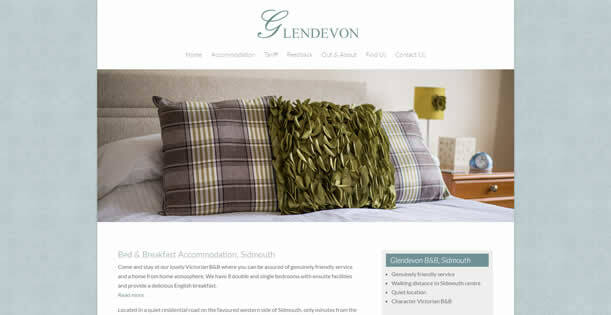 The new owners of Glendevon B&B in Sidmouth asked us to update and refresh the existing website we did for the previous owners a few years ago. They had refurbished the bed and breakfast and had new photos taken by Phil at Carma Creative. The website is now fully responsive and uses a more modern font which, along with the new photos, gives the website a refreshing facelift.